Website creation – graphic design, IA website design, animated header, photo research, visual conceptualization of business attributes, Visual Branding. 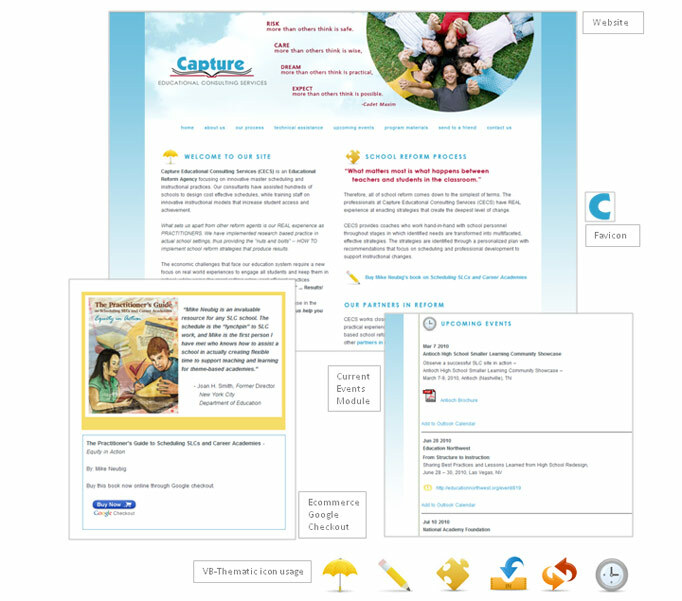 The challenge to create a friendly feeling educational website with easy access to information. Interactive content editing, Current Events Module, PDF knowledge base, Latest News Module and a simple e-commerce solution done through Google Checkout.